In its conception, crypto was toted as the end to government financial tyranny. A cryptocurrency is not controlled or owned by any one party. Miners are responsible for processing the on-chain transactions of a cryptocurrency. Crypto Currency Promises a Duality of Both Privacy and Transparency. In addition, every major technical upgrade and all technical specifications are in the public domain. One of the main features that make cryptocurrency is the ability to freely send funds anywhere in the world. Cryptocurrency in its current form is perfect for integration with online applications. Another feature that is somewhat controversial is the inability to recall or change transactions after they have been sent. A hard-cap means that after a certain amount of a cryptocurrency is created, no more will ever exist. 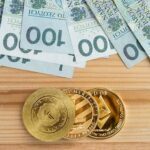 More importantly, cryptocurrency can provide the features needed in the currency that will prevent the economic collapses that we have seen in several instances in the past decade. Venezuela is currently facing what many consider to be the worst economic crisis in Venezuela’s history. Turkey has been facing economic challenges of their own in the last few years. There is another type of cryptocurrency that solves the volatility issue that Bitcoin and others face. Stablecoins like Kinesis will fill the market need that other cryptocurrencies are unable to. The distrust in banks is well-ingrained in many countries, and for good reason. With cryptocurrencies, there is no minimum amount needed to hold an account open. Crypto Currencies – are They the Answer and The Opportunity? Often, economists look to the past and analyze repeating patterns of economic decline across many countries throughout history. These periods of decline are oftentimes caused by similar conditions. The main factor being the repeated devaluing of the country’s native currency. The value of the US dollar, for instance, has seen a huge decline in purchasing power since the early 1900s. This is unprecedented, especially for what many consider to be one of the world’s strongest economies. Many economists can look back to 1971 when the US left the gold standard as a major turning point in the strength of the US dollar and their economy as a whole. The main problem with most traditional fiat currencies is that many are no longer backed by anything other than the issuing nation and, to a larger extent, debt. This has led to periods of economic instability and an overall decline in most of the developed world. These periods like the 2008 financial crisis will continue to repeat and ultimately become much worse over time. While this issue is much bigger than can be summed up in a few statements, many of the macro concerns go back to the currency of the nation and the purchasing power of their citizens on a global scale. While many less developed nations have experienced currency devaluation for decades, like Vietnam or India, many global leaders and economic powerhouses are experiencing these same problems now. This means huge trouble for the world economy as a whole. The United States is facing their own issues, and the UK pound is going to have its challenges as well with Brexit looming on the horizon. Many UK citizens discovered that when leaving their home country that their currency is now worth much less than when transferring into another currency. This is in addition to the outright financial collapse in countries like Turkey and Venezuela. The struggles these countries face to come back from devastation is something that will not be solved in one generation or more. It will take a long time for these countries to recover on many different levels, currency wise, business-wise, and politically. Citizens in many of these countries are leaving in huge numbers, and this leads to immigration crises in neighboring countries. None of these problems are easy to address or solve, but the currency devaluation problem is the most significant and the future of many countries lies in the worth of their issued currencies. Cryptocurrencies are new technologies. While they have come with a list of promises for future integration with our lives, many of these promises have so far come up short. It’s important to remember that the structural foundation of this technology must be built for these things to happen. Indeed, many of the top crypto development teams are focused on the development of their platforms, and not the day-to-day prices or media coverage. No longer would the wealth of an individual be dictated by the government or nation they are a part of. With cryptocurrency, everyone has the full ability to be their own bank. This means having full control over their funds without any middle party to block or censor transactions. It’s more than just skipping over withdrawal fees or the freedom to move funds whenever you want, foregoing banking hours. Crypto promised to be the end of financial oppression for the everyman. This means whether you live in a free country with laws regarding banking practices, or a country with a dictator that controls your spending, crypto allows you to become the only party that controls your finances. For some families worldwide, this principle means everything, even life or death. Bitcoin was the first real cryptocurrency that existed outside of theory. It set out to be a peer-to-peer electronic cash system. Simply put, digital money that can be exchanged anywhere in the globe at any time. Fast, cheap, decentralized and censorship-resistant. Many developers and crypto enthusiasts have different opinions on what makes up a cryptocurrency, or what are the minimum requirements to call something a cryptocurrency. While these requirements may differ, there are several core concepts that most people will agree on. Its worth noting that many cryptocurrencies are different and have different fundamental properties. Some like Monero, aim to be completely anonymous and untraceable with no blockchain explorers or public wallet addresses. It is the network of many different users from all over the world that, in turn, make up the decentralized nature of cryptocurrency. This is absolutely essential to have a network that can facilitate transactions anywhere in the world. While there are mining pools and massive central mining facilities worldwide, it is absolutely paramount that one group never gets too much mining power over the rest of the network. Otherwise, this creates a monopoly of sorts that opens the network to risky possibilities. Preventing these types of mining monopolies is an issue that has not been properly addressed in the crypto community. Privacy is a concept that is completely foreign and unheard of to many individuals when it comes to their wealth and savings. Traditional banking and tax systems are established to ensure that every dollar and transaction is accounted for and properly monitored to some degree. 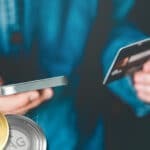 In a world where we are rapidly leaving a day to day cash-based system, we are relying on our credit cards and bank transactions to facilitate everyday means of commerce. This means that we are placing more and more control into the hands of the very systems that mismanage our financial well-being by inflation and taxes. Every transaction is recorded on the blockchain forever. While all wallets and their respective currency holdings are available on the blockchain record, the owner of the wallet is anonymous. So, simply put, you can see all wallet addresses that have been created in the case of Bitcoin, and how much each wallet is worth. You can also explore deeper and see all transactions this particular wallet address has ever made, and to what other addresses they have sent cryptocurrency to, and for how much those transactions were worth. This is a system that brings both criticism and praise. It creates a scenario where every user has the option to be as anonymous as they want. Major addresses are well known, with many of them being exchanges and other services. Smaller addresses could be anyone, and it is only through association with other services that the owner of these addresses can become known. What makes this more private than traditional banking is the fact that there is no information gathered on the individual when creating a wallet, sending transactions, or opting in to be a part of the network by running nodes or mining. In traditional banking systems, you must provide all your information to the bank to open a bank account or get a credit card. While fiat currencies are impossible to control the origin or distribution, to exchange online or to other accounts, you need your own bank account or credit card in most cases. This even occurs with fiat currency exchanging. When you go overseas and exchange, say USD for Euros, the exchanging service will require your identity and information. Their government knows how much of your native currency you have entered their country with and how much of their native currency you now possess. The private nature of cryptocurrencies allows users the freedom to skip all intermediate parties and transact in whatever manner they choose. You no longer need a bank account or credit card to transact with people on the other side of the world. Bitcoin is open source software, meaning anyone can look into the source code to see all the inner workings of Bitcoin. Anyone can use this code to create their own fork of Bitcoin. This transparency goes against most of the software that is out there as very few companies have open source software that others can copy from. This transparent nature is absolutely necessary for anyone to trust and be a part of the Bitcoin network. While the banking world revolves around a usual Monday through Friday 9-to-5 schedule, the rest of the world is rapidly approaching a need for 24-hour transactions. 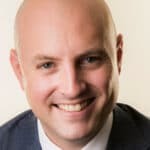 As more and more people do business globally, the need to facilitate these transactions quickly and at any time of the day cannot be understated. With brick-and-mortar type stores quickly falling out of favor and online shopping rising every year, the demand for a payment network that can be integrated online is also rising. Cryptocurrency can provide the network that will allow any users to transact online. While this is a hard concept to explain to new users or online merchants, this is very much a non-negotiable feature at present time. If you send your funds to the wrong address they are essentially gone forever. This is to prevent any sort of fraud or double spending on the crypto networks and is a feature that has supporters and those that would prefer an alternative. Like every technology, crypto or otherwise, the uncensored nature of crypto has the potential to be used for both good or bad. For those that live in countries with oppressive governments that can seize your property or censor how you spend your funds, crypto poses an alternative to bypass that censorship and control your funds with uncensored transactions. One of the most important features that distinguish crypto and fiat currencies is the way the supply is controlled in the economy. While the US dollar has long been on a decline, after leaving the gold standard, we have seen rapid devaluation. To counter this, the American government has simply responded by printing more and more currency to combat short-term issues and devalue it even more in the long term. In fact, devaluing currencies by excess printing is one of the biggest issues facing most countries today, economically speaking. While other cryptocurrencies can be created from source code to provide an alternative to Bitcoin, like Litecoin, more of these individual currencies cannot be simply printed at whim. What this means is every cryptocurrency is created with predetermined hard-caps and other failsafe methods. In the case of Bitcoin, this is 21 million units with around 17.5 million currently existing in the ecosystem. 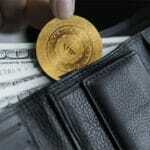 This eliminates the possibility of printing more of a currency to further devalue it. Also, to make more Bitcoin, there is no central authorizing authority like a central bank system. To create more Bitcoin you have to mine it. This is a complicated process of utilizing computer processing power to solve complex algorithms. This system ensures many technical aspects of the Bitcoin network runs smoothly. Miners are paid in newly created Bitcoin and once the hard-cap is reached, miners will be paid solely with transaction fees from network users, to incentivize the continued upkeep of the Bitcoin ledger. Kinesis, on the other hand, utilizes a minting system that cannot be manipulated by outside governments or other forces. Kinesis’ native cryptocurrencies KAU and KAG are only minted when new users create these tokens by submitting fiat or other cryptocurrencies at one of Kinesis’ exchanges. When new KAU or KAG are created, they are then visible on the Kinesis blockchain, ensuring that no one can simply mint more cryptocurrency out of thin air. Furthermore, while Bitcoin is essentially backed by no monetary value except for the network (and there are no fiat currencies left that are truly backed by precious metals), as a gold backed cryptocurrency, Kinesis is backed on a 1-to-1 basis by gold and silver. While other cryptocurrencies and fiat currencies are susceptible to devaluation and wild price swings, Kinesis will remain as stable as gold has shown to be throughout human history as the world’s greatest store of value. Throughout the last century and before, nations the world over have gone through their share of economic and financial crisis. While no crisis is particularly easy to pinpoint the causes, many have to do on some level with how the native currency was produced and devalued. In recent years, these financial crises have been mounting. There needs to be an alternative to the legacy fiat systems we have been using up until now. Looking forward, its very possible that crypto will provide the features and technology integration that is lacking in the payment systems that are usable today. The struggle of the UK pound can be traced back to the fateful moment the country voted to leave the EU. Shortly after, the pound dropped to its lowest level in 30 years among fears from investors. Since then, there have been many sharp rises and falls while the pound fights to get back on track but remains a long way from recovery. For citizens that have no control over whether or not the UK leaves the EU, this puts them in a dangerous position. The UK relies on many goods and services from outside the UK, as do many western countries. Many families have already seen an extreme drop in their net worth since the Brexit announcement, and since Brexit has not yet happened, the uncertainty is a crushing feeling. Since the 1900s the US dollar has been rapidly losing its purchasing power, as have most other national currencies. The nation’s money supply is constantly being expanded year after year with inflation and printing an essentially unlimited amount of paper currency. In 1913, America adopted the Federal Reserve Banking system that was the first step at abolishing the gold standard. In 1971, the US dollar left the gold standard for good, further decreasing its purchasing power. By this time, only 22 percent of all USD in circulation was backed by gold reserves. The Federal Reserve bank had extended so much credit to create USD without having the gold in reserve to match it that the USD had dropped immensely in value by this time. 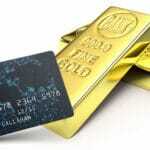 The interesting thing is when asked, many people would say that USD is still backed by gold. This shows that the facts of what is really happening economically are not widely known. The fact of the matter is that the US is currently over 20 trillion dollars in debt. This makes the concept of bringing back the value of the dollar quite an impossible feat to consider. This crisis was brought on by reported socialist policies and corruption in the Venezuelan government, as well as declining oil prices. Oil is one of the most important resources to the Venezuelan government. This has since caused a massive economic decline, with the Venezuelan bolivar plummeting in value. The Venezuelan bolivar has reached levels of inflation that are simply unheard of throughout history. In 2014, the inflation rate of the bolivar hit 69% which, at the time, was the highest in the world. It didn’t slow there, however. It reached 900% by 2016 and an unbelievable 800,000% by late 2018. Businesses have crumbled across Venezuela, with many people losing their jobs. Basic needs like food and other essentials have hit sky high prices in relation to the bolivar, leaving many people unable to purchase the bare necessities. Interestingly enough, cryptocurrency has already found a lot of use in this South American country. There have been numerous Venezuelan citizens that converted their life savings into cryptocurrencies to hold on to what they have left with Bitcoin going for insane premium rates. Citizens have also taken numerous donations online in cryptocurrencies. Crypto allows them a safe haven away from the devastating inflation of the bolivar and enables them to purchase their everyday needs. There are even reported plans for Venezuela to create its own cryptocurrency called the Petro, to combat the currency crisis they are facing. Turkey’s economy is currently running an account deficit, with an inflation rate of over 20%. This inflation coupled with high levels of debt due to borrowing from foreign nations has left the Turkish lira falling at a rapid pace. Amid this lira downfall, Turkish crypto exchanges have had a massive rise in user base over the last several months. Investors and citizens alike are fleeing their native lira for cryptocurrency alternatives. This is to protect their life savings and businesses as the fate of the lira is uncertain. The more people that lose faith in the lira as time goes on, the more people will move to alternatives. Cryptocurrencies were born out of necessity and, frankly, a timely protest to the legacy financial systems that we have all been born around. Seeing governments abuse their financial sectors time and time again has left many looking for an alternative and a new system. Bitcoin was born in direct response to the 2008 financial crisis. The groundwork has been laid but it will take a lot of work with this new technology to get it right for everyone and, of course, adoption is key to this new technology taking off. In many instances throughout recent history concerning currency crises, there are several repeating factors that play a large part. The devaluing of the native currency through inflation and printing freely is a major factor. Many are no longer backed by any stable assets, most are only backed by debt and loans. The citizens in many cases are stuck and cannot easily exchange their native currency to something more stable. Cryptocurrency in concept has a solution to the limitations posed by traditional currencies. It has already proven to not only save the wealth of users but also to potentially save numerous lives in extreme cases of currency devaluation like we are currently seeing in Venezuela. Unfortunately, there are drawbacks to major cryptocurrency leaders like Bitcoin or Litecoin. Cryptocurrency in recent times has a well-earned reputation for unpredictable volatility. This is the last thing that users seeking a safe haven asset are interested in. On the other hand, gold has been the go-to safe haven asset since ancient times. With the creation of blockchain technologies, gold and cryptocurrency have been merged in new and exciting ways that combat the problems with traditional fiat, and the limitations of gold in its physical form. Stablecoins were created with the needs of the everyman, and not the investor, in mind. 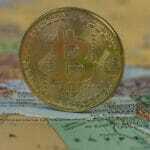 Bitcoin promised to be a peer-to-peer electronic cash system that can replace dollars for everyday use. Unfortunately, while Bitcoin has managed to grab media and investor attention, it has utterly failed at worldwide mass adoption. This Is especially true of merchant adoption, with Bitcoin actually losing the support of numerous merchants since 2017. How can a merchant, or anyone looking to Bitcoin as a safe haven, trust the asset with the volatility it has proven will be a reoccurring factor? While most cryptocurrencies are backed by the technology, or their networks, or perhaps just empty promises, Kinesis is backed by gold and silver reserves. While other countries print their currency at will, Kinesis coins cannot be minted without users depositing cash or other cryptocurrencies into the system. This ensures that the amount of Kinesis cryptocurrency in the ecosystem never exceeds the amount of gold and silver in reserves. Gold has been the greatest store of value the world has ever known with a legacy that goes back to ancient civilizations. Now, Kinesis is taking the value and reputation of gold and merging it with blockchain technology to make the best stablecoin platform in the market today. The value of each Kinesis coin will be pegged to a 1 USD value. While cutting out the volatility of other cryptocurrencies, it maintains all of the functionality that makes crypto such an innovative and enthralling technology. Users across the world will have a safe haven investment that functions as a day to day currency that is immune to inflation or economic crises. They will be able to easily transact with others across national lines in a way that bypasses censorship and government control. For some people across the world in impoverished or oppressive countries, this could be a way for them to escape their economic situation and build up a future for their families. In many more cases than people in wealthier countries realize, some people across the world have no access to traditional banking systems. There are many people across the world that simply are unable to open a bank account because of a lack of identification, or they are unable to get to a major bank. There are also instances where they are unwilling to put their money in a bank account because they do not trust these institutions. While there are numerous scenarios of fraud with bank leaders, there is also the fear of banks locking your accounts and refusing to let you withdraw your funds. Again, cryptocurrency poses an alternative to these problems. A bank account is a major need for people across the globe, and crypto will enable those that are unable to use regular banks the opportunity to create their own bank account in crypto. Across the world, there are an estimated 2 billion adults that have no access to banking systems. When you break it down to individual regions, the numbers are astounding. In Central Africa, almost 95% of people are without a bank account, with countries like Cameroon or Madagascar reaching only 15% of people at most. In the Middle East countries like Afghanistan and Iraq, only close to 15% of people at most. While some people are simply unable to open a bank account, there are numerous other factors to consider. As mentioned before, distrust in banking systems caused many to refuse to open a bank account. The other issue is a common idea that they simply do not have enough funds to open a bank account. Their mindset is why tie their limited funds up in an account that is subject to fees upon withdrawing? Cryptocurrencies can help quell these concerns. With most cryptocurrencies, the fees are so minimal that they are, in fact, cheaper than any alternative when it comes to sending payments. While users in these impoverished areas may be unable to travel to banks daily, the internet is becoming widespread in the most unexpected places, even deep African countries. This enables people to skip over any restraints with banking systems and still send payments anywhere in the world, instantly. History is doomed to repeat itself it seems unless we evaluate the reoccurring problems that many economies face and work towards amending the issues. While there are numerous macro issues that cause an economic decline, one of the most prominent aspects is always the devaluing of the native currency. Crypto has a lot of hype and promise behind it, but the potential that it shows can shine through all the doubt and past concerns if given the chance to flourish. This doesn’t mean that the vast returns had by investors will continue forever, but it does mean that this technology could be integrated with all major facets of our financial systems to ultimately make things like banking, sending payments, internet applications, and many structures vastly more efficient. This includes our day to day means of payment and the way we store our wealth. Crypto has an answer and an opportunity here among the reoccurring periods of economic decline across the world. Stablecoins like Kinesis can be the leaders in market adoption, fulfilling the promises that Bitcoin and others have made since their conceptions. In crypto, the power truly comes back to the users, and not the issuing systems. The transparent nature of the ledgers and networks allows those that choose to use the system the opportunity to verify for themselves. Auditing banks, for instance, is not an easy feat, especially when the government outright prohibits such honesty. Cryptocurrencies like Kinesis are giving the opportunity for restricted and underprivileged users to gain access to financial systems and take control of their individual futures without anyone to restrict them.